In general, a rural area or countryside is a geographic area that is located outside towns and cities. The Health Resources and Services Administration of the U.S. Department of Health and Human Services defines the word rural as encompassing "...all population, housing, and territory not included within an urban area. Whatever is not urban is considered rural." Typical rural areas have a low population density and small settlements. Agricultural areas are commonly rural, as are other types of areas such as forest. Different countries have varying definitions of rural for statistical and administrative purposes. Census Bureau-defined urbanized areas and urban clusters. An urbanized area consists of a central surrounding areas whose population ("urban nucleus") is greater than 50,000. They may or may not contain individual cities with 50,000 or more; rather, they must have a core with a population density generally exceeding 1,000 persons per square mile; and may contain adjoining territory with at least 500 persons per square mile (other towns outside an urbanized area whose population exceeds 2,500). Thus, rural areas comprise open country and settlements with fewer than 2,500 residents; areas designated as rural can have population densities as high as 999 per square mile or as low as 1 person per square mile. 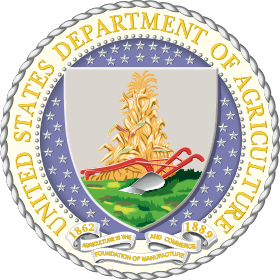 2002 farm bill (P.L. 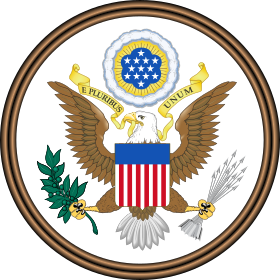 107-171, Sec. 6020) defined rural and rural area as any area other than (1) a city or town that has a population of greater than 50,000 inhabitants, and (2) the urbanized areas contiguous and adjacent to such a city or town. The rural-urban continuum codes, urban influence code, and rural county typology codes developed by USDA’s Economic Research Service (ERS) allow researchers to break out the standard metropolitan and non-metropolitan areas into smaller residential groups. For example, a metropolitan county is one that contains an urbanized area, or one that has a twenty-five percent commuter rate to an urbanized area regardless of population. Census Bureau) and (2) outlying counties that are economically tied to the core counties as measured by worker commuting data (i.e. if 25% of workers living there commute to the core counties, or if 25% of the employment in the county consists of workers coming from the central counties). Non-metro counties are outside the boundaries of metro areas and are further subdivided into Micropolitan Statistical Areas centered on urban clusters of 10,000–50,000 residents, and all remaining non-core counties. An area with a population density of up to 400 per square kilometer, Villages with clear surveyed boundaries but no municipal board, A minimum of 75% of male working population involved in agriculture and allied activities. Village renewal as an instrument of rural development: evidence from Weyarn, Germany". Community Development. 43 (2): 209–224. doi:10.1080/15575330.2011.575231. ^ "Local Authority Rural-Urban Classification". UK Government. 24 June 2011. ^ "About Dispensing Practice". Dispensing Doctors' Association. Archived from the original on 1 April 2017. ^ a b c http://www.dhanbank.com/pdf/reports/InFocus-December%201,%202010.pdf ^ Zaidi, S. Akbar (29 August 2017). "Rethinking urban and rural". Dawn. ^ Knerr, Béatrice (Prof. Dr.). page 102. ^ Knerr, Béatrice (Prof. Dr.). page 105. ^ Knerr, Béatrice (Prof. Dr.). page 106. ^ Rai, Piyush Kant; Pareek, Sarla; Joshi, Hemlata (2013). "Regression Analysis of Collinear Data using r-k Class Estimator: Socio-Economic and Demographic Factors Affecting the Total Fertility Rate (TFR) in India" (PDF). Journal of Data Science. 11.